This beautiful solid oak deacon’s bench will be the perfect addition to your foyer, hallway, kitchen or dining room. 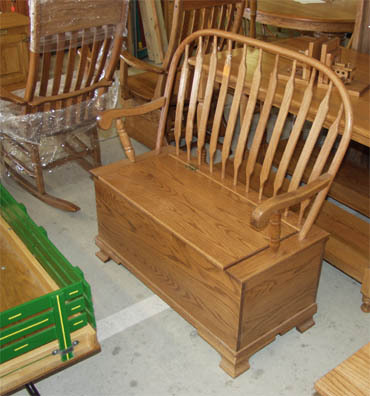 Amish crafted of solid oak hardwood for true heirloom quality, the deacon’s bench will provide plenty of storage as well as match your kitchen or dining room chair collection. If you don’t currently have solid oak chairs in your kitchen or dining room, we invite you to check out our beautiful dining room chair collections - you won’t be disappointed!